Starting a rental property business means first buying a property and then building resources to rent and maintain it. Ejari Registration - it's necessary to aware yourself about the guidelines and the system. Starting a rental property business means first buying a property and then building resources to rent and maintain it. Investing in real estate and starting a rental property business attracts people looking for long-term equity in real estate with someone else paying the mortgage. Owning a property is the first step to being a rental property business owner. Setting up your EJARI in Dubai that means "my rent" in Arabic. This can be an exciting time. However, it's important you're aware of what's involved before you start, to save you time and money. That's why we are here to help you along the way. It's necessary to aware yourself about the guidelines and the system. For anyone that is new in the UAE (United Arab Emirates) and looking to rent a property in Dubai, the word EJARI would no doubt have come up in discussions. Ejari is a modern online registration system that ensures full protection of rights to all parties involved in a property lease agreement. Ejari means "my rent” in Arabic. It is also the name of the system that handles the registration of each tenancy contract within Dubai.The regulatory system also guarantees that all government agencies are enforced to recognize and support the rights of the parties. The system is aimed at creating transparency on the clauses and provisions of a private rental agreement signed by landlords and tenants and making such documents enforceable by law. * Everyone can request to the authority for the access of historical data concerning property rentals in Dubai. * When the system successively presides to legalize the process of tenancy by issuing standard rent receipts. * Both parties have access to the same documents in case of dispute. 2. Who is responsible for registering the tenancy contract with EJARI? Typically, the tenant lodges the tenancy contract with EJARI. However, landlords can also submit the registration, although they are not known to do this often. 3. Where can I register EJARI? The most important reason to register your-self is because that's the law. Generally speaking, the public needs to know who is behind it and what procedure and steps are present. There are most of the typing centres who can assist a person with registering your EJARI and with the correct paperwork and documentation, the process should take about 15-20 minutes, on average. A list of Approved Typing centres can be found on the official EJARI website– however, typing centres not on the list may still be able to help with the process. 4. Which documents are required for EJARI registration? * For new tenancies, showing proof of DEWA registration or DEWA Connection receipt may suffice. The cost to register EJARI has been known to vary but is typically 160AED, unless your case is exceptional. This incorporates fees levied by RERA and the typing centre. The time and money saved on data entry administrative tasks can be used for better the event, contact more sponsors, prepare more activities, reply faster to participants. The system should provide an insightful reporting into payments received and due, refunds given, multi-event analysis and all other reporting tools essential to efficiently manage a successful event. 6. Do I get a receipt of my EJARI registration? As a part of the registration a receipt or proof of purchase is a document that you provide to your customers as record of their purchase of your goods or services. You will receive an EJARI certificate which outlines the details of your tenancy contract in an official capacity. Yes, if you fail to register your EJARI, you may not be able to obtain or renew a residency visa for members of your family. 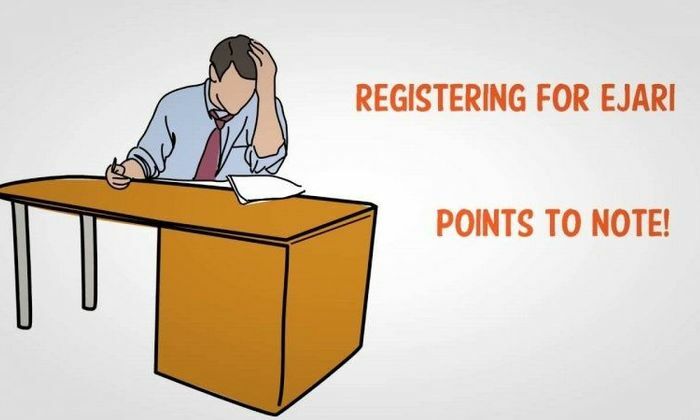 Also, if you fail to register EJARI, you will not be able to file a dispute with your landlord as the EJARI certificate will be required, in that case. 8. Do I have to register EJARI at the start of the tenancy? It is considered best to register EJARI as soon as possible but it can also be registered at any point during the tenancy. 9. Do I need to submit a new EJARI even if I am staying in the same residence? Yes, each time you sign a new tenancy contract, you need to register your EJARI. EJARI is an important part of the tenancy process and the rental experience in Dubai. It seeks to uphold and guarantee the legal rights of both the landlord and the tenant and provides a clear outline of the rental agreement within the confines of Dubai's real estate laws. When you register your EJARI, you help maintain a system designed to be fair to all the parties involved.